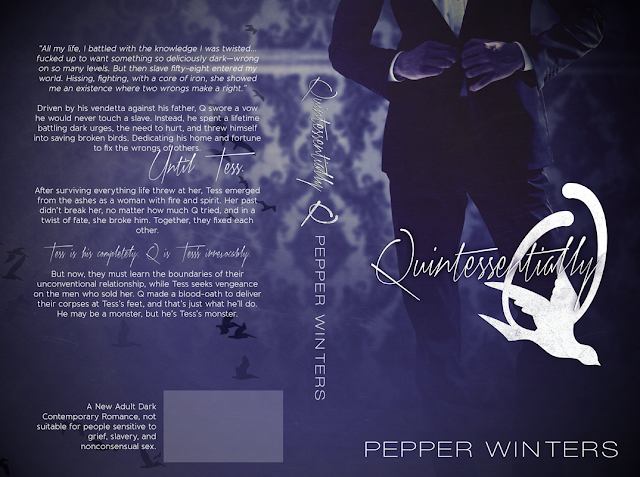 We LOVE Pepper Winters and the delicious Q Mercer from the Monsters in the Dark series! 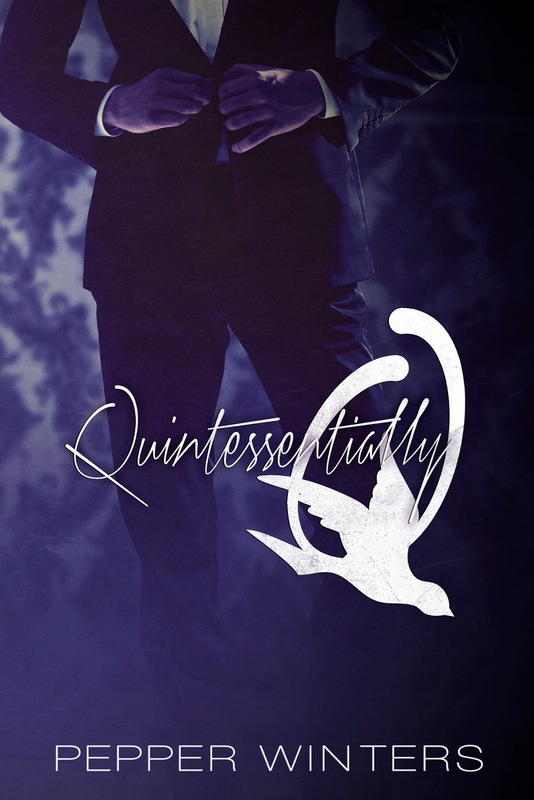 Take a peak and see what Q has planned for Valentine’s Day…plus we have a SIGNED paperback giveaway! He stomped off while I laughed. I kept him around for protection but also for comedy relief. My thoughts returned to the note I’d written for Tess. So simple, only one line, but it would mean the world to her. It meant the world to me. Je suis à toi esclave cinquante-huit. Je t’aime. I’m yours, slave fifty-eight. I love you. “You need me like I need you. I get it,” she murmured. squeezing—just a gentle coax, reminding her she was in my power. My body burned for her; my ears strained for her answer. “Because…” I licked her lips, begging her to finish her sentence. I had to hear why she cared. It meant the world to me. I would never have cared about another person loving me before. Now, I needed it more than anything. Driven by his vendetta against his father, Q swore a vow he would never touch a slave. Instead, he spent a lifetime battling dark urges, the need to hurt, and threw himself into saving broken birds. Dedicating his home and fortune to fix the wrongs of others. After surviving everything life threw at her, Tess emerged from the ashes as a woman with fire and spirit. Her past didn’t break her, no matter how much Q tried, and in a twist of fate, she broke him. Together, they fixed each other. Tess is his completely. Q is Tess’s irrevocably. But now, they must learn the boundaries of their unconventional relationship, while Tess seeks vengeance on the men who sold her. Q made a blood-oath to deliver their corpses at Tess’s feet, and that’s just what he’ll do.